Spanish-language culture has been intimately linked with New York ever since the Sephardic Jews emigrated here from Brazil in the 17th century with their ancient Spanish language. 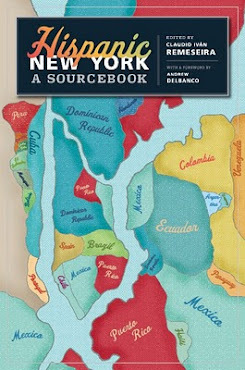 From the Cuban exiles of the 19th century (among whom José Martí is the paramount figure) to the great 20th century Spanish poet and playwright Federico García Lorca, and the scores of Latin American writers and artists who followed them, New York has always played a key role in the development of the Spanish-language literary imagination. Today, this great international city is home to a growing number of writers, poets and essayists who rank among the finest practitioners of writing in Spanish—ranging from such world figures as Antonio Munoz Molina, who lives a few blocks from our university, to young aspiring writers who arrived in New York with the immigration wave of the last decade—journalists, translators, copyeditors, schoolteachers, college professors, drafting the manuscript of a first novel or short-story collection. Those writers, some of whom are joining us tonight, as well as many Latino and Latin American artists and intellectuals who call New York their home, not only add to the vibrancy of our city as one of the world’s cultural capitals, but also reflect the increasing significance of New York in the global network of Hispanic-American culture. I am proud that the American Studies program here at Columbia is sponsoring the Hispanic New York Project, directed by Claudio Iván Remeseira, who will step here to the podium in a moment to greet you. The goals of our program are to develop an academic and cultural center that promotes the Latino and Latin American cultural heritage of New York City and to serve as an avenue for communication and collaboration among artists, writers and intellectuals of the Americas. The Planeta Lecture, made possible by the support of Grupo Planeta and Fundación José Manuel Lara, is a large step toward fulfilling those goals. We intend this to be the first of a series of public events conceived to disseminate not only Spanish and Latin American writers in the United Sates, but also Spanish and English-language Latino and Latin American writers who live and work in this country. In doing so, we hope to help foster dialogue and mutual knowledge between English and Spanish-language writers and readers who constitute the increasingly complex and interconnected cultural world of the Americas. Tonight, we have the honor of hosting a panel of four acclaimed Latin American authors—two of them have come especially for this event from Colombia and Argentina, the other two are long-time residents in the United States. Please join us in welcoming them, and thanking them for making the effort to be here tonight.